Season’s Greetings! As Educators we witness the magic of the Season as students look forward to the winter break and all its celebrations. Sadly, the Holidays can be a difficult time for some children especially the poor and disadvantaged. 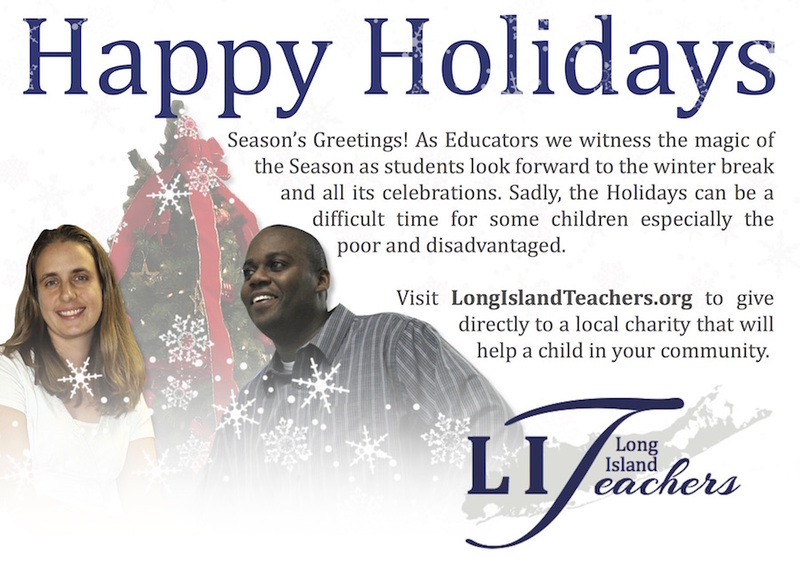 Below is a list of local Long Island charities that will help a child in your community. 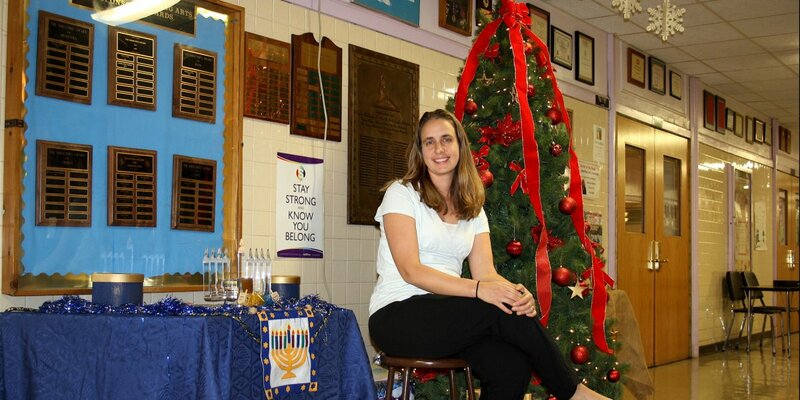 The Lend A Hand Project is dedicated to enhancing the lives of the needy on Long Island. Through anonymous pairing of volunteer Sponsors with Recipients, we extend a helping hand to provide not only material assistance, but also ongoing relationships, friendship with complete dignity. The Lighthouse Mission exists to feed the hungry and help the homeless by sharing God's love with people in need in practical ways. Our commitment is to feed the poor, but our goal is to empower people to overcome poverty and live purpose-filled lives. Founded as the first food bank on Long Island, New York, in 1980 by the late singer, Grammy Award-winning songwriter and social activist Harry Chapin, our organization now provides nutritional food and support services for a network of more than 580 community-based member agencies, including food pantries, soup kitchens, emergency shelters, child care programs, disability organizations, veterans’ services programs and more. Since 1982, Islip Food for Hope, Inc. formerly known as the Islip Thanksgiving Breakfast Committee, has been dedicated to eliminating hunger in the Town of Islip. The Corporation's mission is to feed people in need and to end hunger in the Town of Islip by engaging communities and mobilizing resources toward fulfillment of the purpose of the Corporation. For more than 30 years, the Tri CYA has provided a broad range of educational, recreational, social, cultural, athletic, counseling and advocacy programs, working closely and cooperatively with businesses, school districts, law enforcement, community groups, government agencies and religious organizations as well as with individuals, parents, and youth community volunteers. The Helping Hand Rescue Mission provides food, clothing, household items, and education, to those in need in our community. After witnessing local poverty conditions first hand, Jim and Rose Marie Gaines, and Rose Marie's mother, Florence E. Meringola invested everything that they had with the view that if they could help even one person it was worth the investment. The Mission was founded in 1965.